Year after year, the battle for obtaining the papacy became more ferocious. Every country wanted his cardinal on the chair of st. Peter, especially because there was a lot of money involved with papacy. And it happened that in 1305 a French cardinal became pope under the name of Clement V. He preferred to live as a King in France, and moved the capital of Christianity in 1309 to Avignon, France. Only until 1378 they lived in France, but what they built in those years is impressive. The whole city is the palace of the pope. There was indeed a lot of money involved in the papacy. When the popes finally returned to Rome in 1378, their palace on top of the hill, Saint John in Lateran was in disrepair and the old aqueducts of the Romans were gone. So, he decided to live in the compound of the Vatican walls, build by Leo IV after the pillage of 846. At least there was water in the vicinity of the Tiber. But at that point of the history we are in the Renaissance-time, copying the Romans and the Greek. So, when the pope decided to build a palace, it would look like the palace of an emperor. 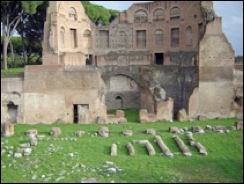 And indeed, it looks like the palaces of the emperors on the Palatine hill. For those who have visited the Palatine Hill already: Were you aware that you were walking over the roof-garden? The palace is inside the hill, and on top you have the roof-gardens and buildings for entertainment. Lucernari or sky-lights would bring the light in the lower rooms. It’s the same in the Vatican. When you are on the on the top of the staircase towards the exit of the Vatican Museum, and you look out of the windows, you will see trees. But you are on the third floor !!! It’s build like an emperors palace. Looking closer at that staircase, you can see it is made like our DNA structure: a double helix. One ramp is going down (and you see the people on it in the photo), the other is going up. 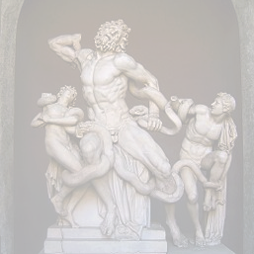 The collection of the Vatican Museums started with the founding of the Laocoon in the golden house of Nero. Over the years, each pope added something to the collection. We are talking of the Vatican Museums, in plural. From here, we are going to visit different collections, gathered together over the centuries, until we leaving the collection by entering in the rooms of Raphael, just before the Sistine chapel. Prepare yourself for a long walk. 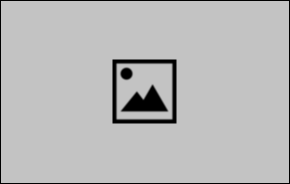 It is said that the Holy Father in the past went through the collection by his horse. The double staircase, originally built by Bramante, became a very useful feature. Getting on it to the roof of the building, he could cross the roof-garden on the back of his horse, until he arrived in his private rooms: the rooms of Raphael. Pope Benedict XVI, in 1986, when he was his eminence Josef Cardinal Ratzinger was one of the three founding members of an association of german speaking, roman catholic academics in Rome, called Capitolina im CV in Rom. Over Europe there are in this Cartel-union (CV) more than 32 000 members. You can apply for membership during your studies and remain member for the rest of your life. Seniors helping the juniors with their experience, logistics and ... money to promote the principles of Wisdom, Religion, Friendship and love for the Country. Being a branch of it in Italy, the country that unites us all is the Vatican. Conferences and friendly meetings are the activities on the agenda. 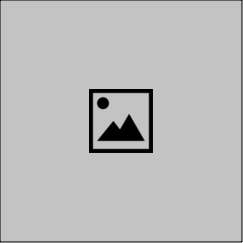 In this association I am today a senior member since 1990. Not many academics are staying in Rome after their studies. But it made that over the years I got to know Cardinal Ratzinger very well. He organized for the association meditations for Christmas and Easter a.s.o. My job is to organize the Saint Martin geese party in November. Josef Ratzinger and I built over the years a profound friendship, because in the association we can only use our Christian name and not our academic titles, because the leaders are the students. So, Pope Benedict was and is for me Josef. During his pontificate under the name Benedict XVI, the ticket of the Vatican Museum became an image of the School of Athens by Raphael. He also promoted the new guide book of the museum. Follow the link as a start of the museum. And a must to understand with me the whole museum is reading my article about the difference between those two giants of philosophy: Plato and Aristotle. Pope Benedict removed all the former entrance tickets of the museum, and replaced is with the image of the School of Athens of Raphael: The Vatican Museums, he would say, are not a Christian museum, but a renaissance museum. Catherina of Siena convinced the Holy Father to return to Rome. We must ask ourselves how the popes managed to build such an enourmeous palace in Avignon and Rome. Let's have a look how the Church did it ! If you have a business, and a good product, and you want to sell it, you have to do marketing. And that is exactly what Dante Alighieri did with his epic work The divine Comedy. The product they offered was Heaven!, and in his Trilogy, The Divine Comedy, he described how he visit it with Beatrice: There you will eat rice with golden spoons, the Madonna will sing "Like a Virgin", ouhps !! !, probably it will be the other Madonna who sings Ave Maria; Jacuzzis and James Bond girls will make your life enjoyable, and today if you are Muslim and martyr, you will receive 62 virgins. Heaven was a physical world that the Church promised to you. And people were indulged to buy it ! That were the famous "Indulgencies ..."
In the American presidentials of 2016, we see a lot of smear ... negative marketing of the rival (Crooked Hillary or Lose canon Trump). They try to convince you to vote for one or the other by putting the rival in a negative prospect. And, of course, you were not obliged to buy Heaven. 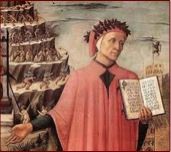 Dante knew that, and therefore he wrote three books: Heaven, Pulgatory and the Hell. In the last book he takes Virgilio by the hand and together they are going to visit the Hell. But after a visit of Dante to the purgatory or the hell, with all the tortures and pains that you will receive there, fire, waterboarding etc., the people preferred to buy Heaven. And the money came in from all sides. And in the renaissance, men is coming at the centre of the universe, in a Christian world. Men is made after God like Plato, he has ideas. And the ideas we find back in the Library of the museum, in the books. 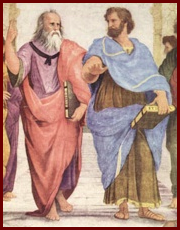 Men is also made after God like Aristotle: he can create with his hands: paintings, sculptures, frescoes, tapestry and so much more. Read first this introduction and follow the external links to explore the different rooms. Personally, I think it’s the most eclectic museum in the world. In other museums, worldwide, you close the door behind you and you speak about the works of art exposed. Not the Vatican Museums. As just as you walk in, we have to speak about 3000 years of human history. Comparing one museum with an other is never easy. But the Vatican Museums are different. Whatever you will see has a link with what is on the other side of the river. You can compare it with a Victorian Museum. Her Majesty was queen and empress, and the museums are reflecting the Commonwealth. You find an amalgan of items of the Empire: a piece of a dinosaur, a bit of chinese porcelan, a section with silverwork, a stamp collection, some paintings of the 16th century and so on. And about everything is mediocre. 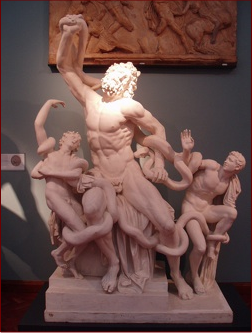 The Vatican Museums are simular. Every pope added a wing with a proper collection. Therefore it is called Vatican Museums in plural. The difference is, that the popes took the best of the best of every civilization. 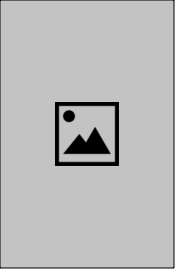 The location is the Vatican Hill - Mons Vaticanus -. It is not one of the seven hills of Rome, but a hill just on the other side of the Tiber. It was here that the Agrippina Minor, the mother of the emperor Nero had a villa. Her profession? ... being a serial killer. (follow the link about Nero) She was for sure of very low morals. She even had an incestuous relation with her brother - an other madman - the emperor Caligula. That one had built beneath the villa a small circus. This got enlarged by Nero who commissioned also the obelisque that’s now in the middle of St. Peter’s square. Just before entering the sacristy of the the basilica you can find the mark on the ground where it originally stood in the center of the circus. Outside the circus was a cemetery where, following the tradition, St. Peter was buried. You can visit the cemetery by applying for an official guided tour of the Vatican: the Scavi. St. Peter died under the persecutions of the Emperor Nero after the famous fire of 64. Follow the link WHY St.Peter died. And the historical truth about St. Peter’s burial place you will find here. In the year 313 AD the emperor Constantine approved Christianity with the edict of Milan. He also build the four large basilica’s of Rome: two outside the wall: St. Peter and St. Paul outside the wall, and two inside the wall: Santa Croce in Jerusalem and San Giovanni in Laterano. 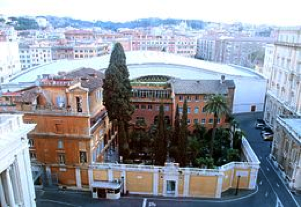 The latter, former residence of his mother Saint Helen, became the papal residence. Until today it is the “Mother of all Churches”. On Christmas 800, Charlemagne is crowned in the old St. Peter’s Basilica as emperor of The Holy Teutonic Empire. As donation he gives the Holy father the piece of land surrounding the old St. Peter’s basilica (not forgetting to keep a little piece for himself as a pied-à-terre: the Camposanto Teutonico) and some land in the middle of Italy. Those will be become the beginning of the Pontifical States. After his dead, and the division of his empire among the three sons -as was a tradition in the Frankish law- his empire get divided. When Louis the Pious, the son of Charlemagne, died in 840, his eldest son, Lothar I, claimed overlordship over the whole of his father's kingdom and supported the claim of his nephew Pepin II to Aquitaine, a large province in the west of the Frankish realm. 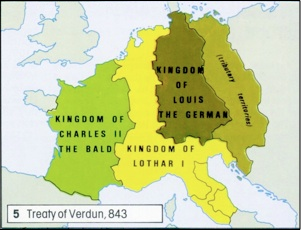 Lothar's brother Louis the German and his half-brother Charles the Bald refused to acknowledge Lothar's suzerainty and went to war against him. They defeated Lothar at the Battle of Fontenay in 841 and sealed their alliance in 842 with the “Oaths of Strasbourg” which declared Lothar unfit for the imperial throne, after which Lothar became willing to negotiate a settlement. 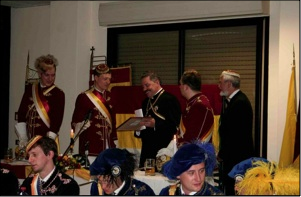 The part of the eldest son, Lothar I, extended from the north of Europe over the Alps in Italy. It was the most difficult part to defend with almost no natural borders. Over the years it disintegrated in the other two and created the formation of some of the European States of today: France, Germany and Italy. In 846 we have the sac of Rome by the Saracens, a real and proper pillage of everything that was outside the old city walls. The old Saint Peter’s basilica was “filled to overflowing with rich liturgical vessels and with jeweled reliquaries housing all of the relics recently amassed", and an easy target. Pope Leo IV took immediately measures to avoid similar pillage in the future and ordered to start building the walls of the Vatican City as we have them today. The fresco above is from the rooms of Raphael in the Vatican, were you can see how pope Leo IV is blessing the people from (an historical picture) the balcony of the old Saint Peter’s Basilica. The Pope was still living on the top of the hill, Saint John in Lateran, inside the city-walls of Rome. You can call the museums a renaissance museum with a catholic twist. In the picture on the left hand side, I put two layers over each other, one is the Laocoon as Michelangelo found it back in the Golden House of Nero, the other with the hands added by Michelangelo who restaured it. Michelangelo should have known that a classic statue like this would have all the elements in the triangle; and suddenly, we see those hands are sticking out. 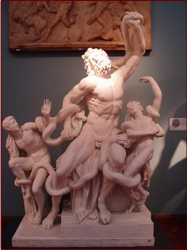 In the picture below, you have the statue of the Laocoon (after I flipped it around) with a second layer ... Haman in the book of Ester as Michelangelo dipicted him in the Sistine Chapel.